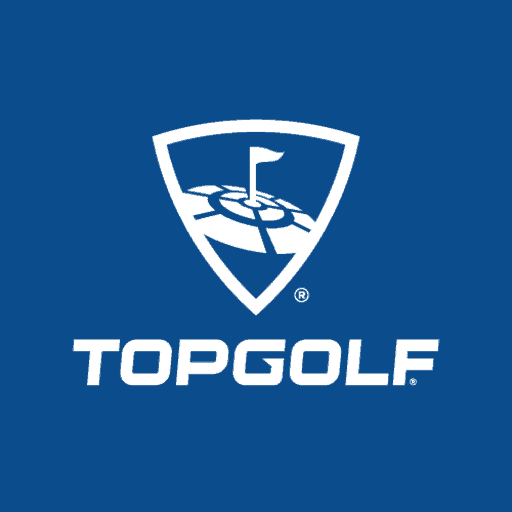 Team Building is crucial for every work place, and Cincinnati now offers a large variety of unique and exciting team building events for everyone. 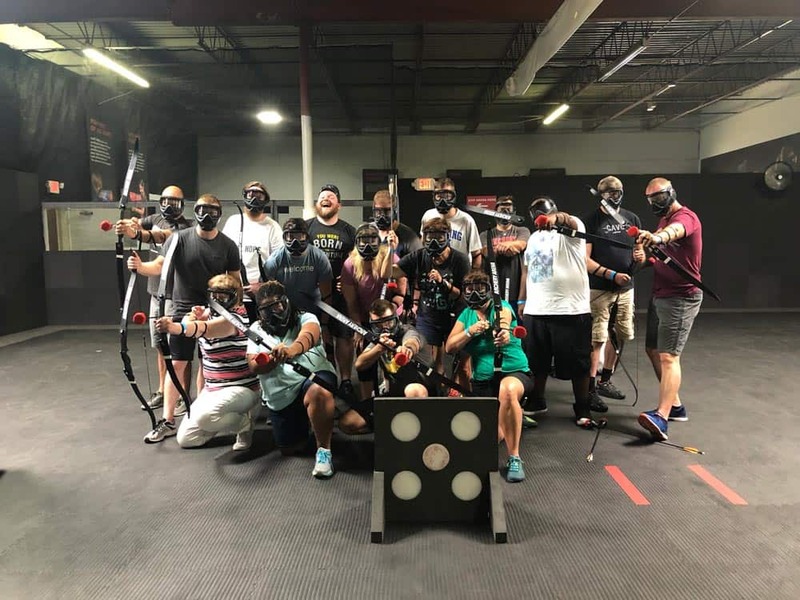 Here at Archery Arena, we love helping out our local community, so we put together a list of the top 12 Team Building Activities in Cincinnati to help you narrow down where you should bring your team for a corporate team building event. Team building takes many different forms, strategic thinking to solve a puzzle, to an action packed environment competing against each other. Regardless of the environment, here are the main benefits of team building. So without further delay, here is our list of the top 12 Team Building Ideas in Cincinnati! How does shooting your boss with an arrow sound? 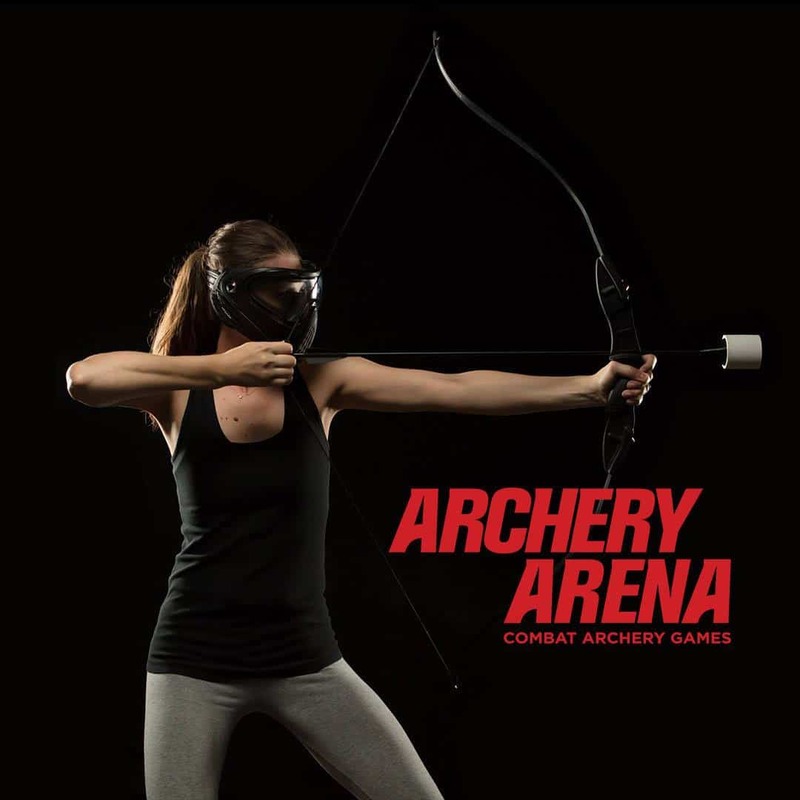 Archery Arena is new on the scene and is the first indoor Combat Archery Arena in the midwest! Nothing says team building like working together as a team inside the Arena. Combat Archery is a lot like the game of dodgeball, only with specialty made bows and arrows! Shoot at the opposing team to eliminate them, but then also catch arrows to bring your team mates back into the game! Because of the specialty foam tips, getting hit with an arrow feels a lot like getting hit with a dodgeball! Each game lasts for 4-6 minutes and rules change and progress to make your team building game more and more engaging as time goes on! Combat Archery is an incredible tool for team building!! Combat archery is perfect for company team building activities and is an epic adrenaline rush unlike anything you have experienced. Archery Arena is the ultimate team building game in Cincinnati. Bring your team together by playing the fun, fast paced, and addicting game of Combat Archery. 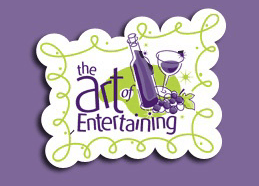 Archery Arena has been trusted for Team Building events by GE, Gorilla Glue, Crossroads Church and more! 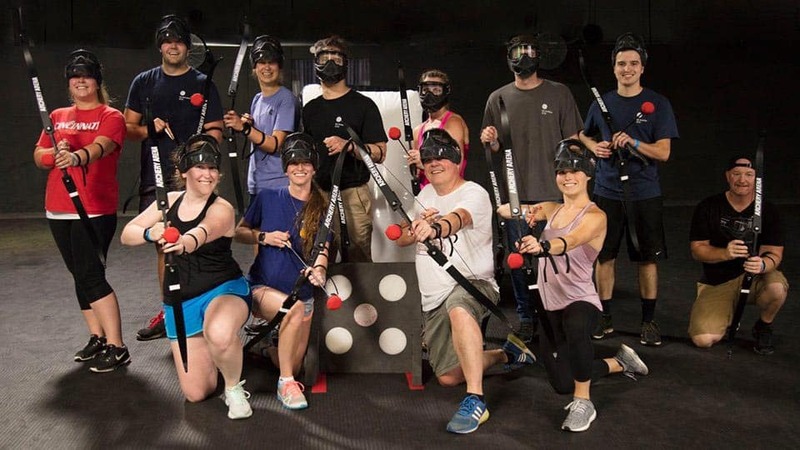 Currently rated #1 Team Building Activity on Yelp! Check out our reviews! 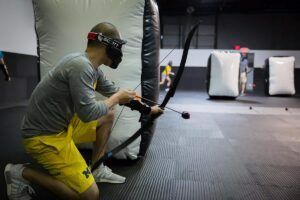 For more information and to host your company team building activity at Archery Arena, list the link below! Bowling is a fun activity for team building and there are a variety of bowling alleys throughout Cincinnati to choose from! 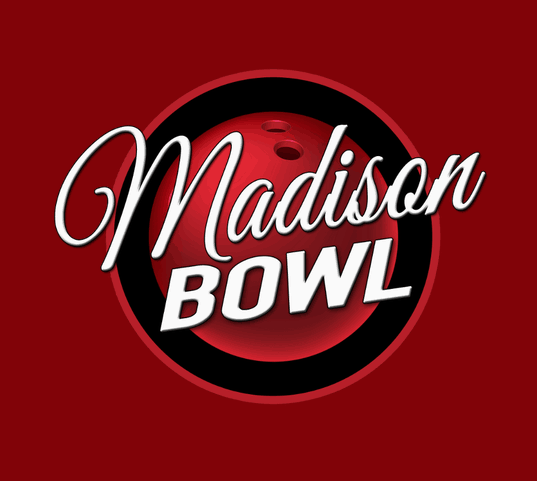 Madison Bowl- http://www.madibowl.com/ and Crossgate Lanes- http://www.crossgatelanes.com/ are two great options! We hope you enjoyed this list of corporate team building activities in Cincinnati. We hope that you give each of these places a shot at one of your upcoming corporate team building events. Of course, we also hope you will try out Archery Arena at some point! Below is a gallery of images of teams enjoying Team Building at Archery Arena.